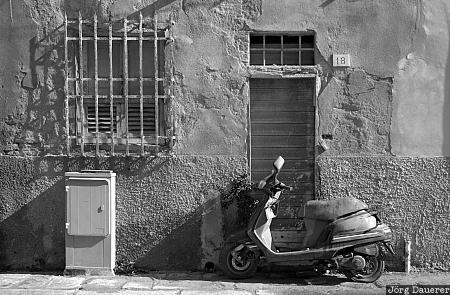 Shadows and a moped (Motorino) in a narrow alley in Pisa. Pisa is in the northern part of Tuscany in central Italy. This photo was taken in the early afternoon of a rainy day in October of 2009. This photo was taken with a digital camera.